We are now at the home stretch in finding the Sexiest Man in the World for 2018. From a long list of 100 to Top 60 and now we’re down to the final 6! 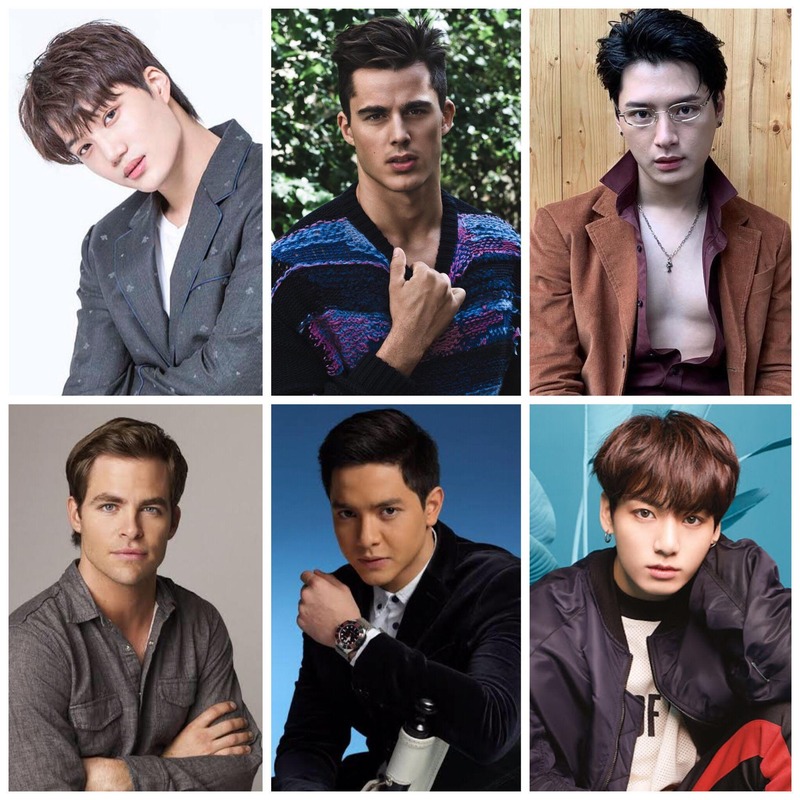 Alden Richards (PHILIPPINES), Chris Pine (USA), Jungkook (KOREA), Krist Perawat (THAILAND), Kai (KOREA), and Pietro Boselli (ITALY) will vie for the people’s votes through 4 channels: via online poll, Twitter, Instagram, and Facebook. 1. Unlimited voting! Simply click the photo of your favorite celebrity on the widget below to cast your vote. If you want to vote again, simply refresh/reload your browser. 2. This poll will close at 11:59 AM of December 16, 2018. VOTING IS EXTENDED UNTIL 11:59 AM of DECEMBER 16! 1. Simply like and/or comment under the finalist’s photo on Instagram. 2. 1 like = 5 votes; 1 comment = 2 votes. 1. Like and share the official Facebook photo of the finalist. 2. 1 like is equivalent to 2 votes. 1 share = 3 votes. 3. Voting ends at 12:00 noon of December 14, 2018. 1. Like and Retweet the official Twitter photo of a finalist. 2. 1 like is equivalent to 2 votes. 1 retweet is equivalent to 3 votes. WOW!!! CHEATERSS!!! Just pronounce thailand as winner already. LOOOL!! Whats wrong man I can’t vote?? Please have your site fixed. Also, please consider bot filtering when you count the votes. This is pointless, almost nobody can vote here in the Philippines. We were leading heavily at the start and then suddenly yous site here crashed!! But only here???????????????? WTFFF!!!! Your site keeps crashing here in the Philippines. Obviously not in other countries. How are we supposed to vote? most sexiest man in the world. Go AlDubNation all over d world let’s all support our bibiboy, #AldenRichards! Alden Richards is our man! When i voted a few minutes ago, the percentage of alden’s vote was more than 60%, how come after the “traffic” it’s now only 50plus percent?